Leading Scottish universities and the national police force have refused to sever links with a Chinese technology giant despite mounting fears their devices may be used to spy for Beijing. 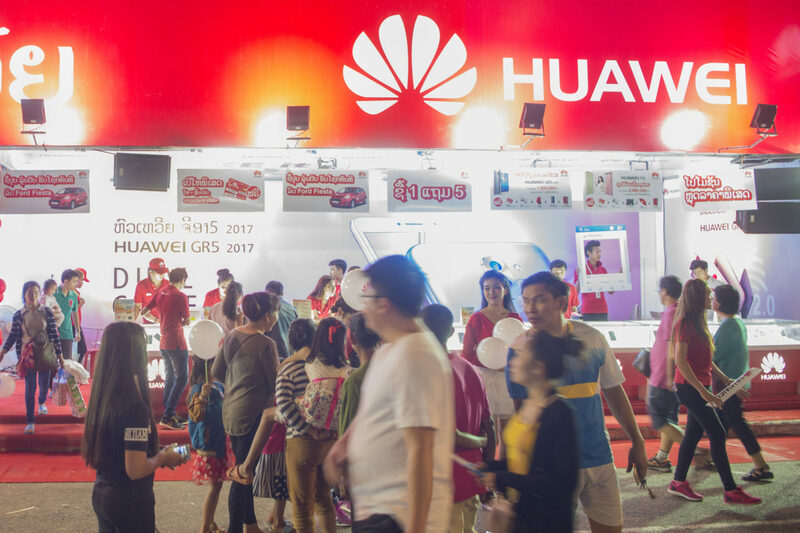 Huawei makes smartphones but is also a world leader in telecoms infrastructure, in particular, the next generation of mobile phone networks known as 5G. The technology giant has denied allegations of espionage after a series of UK organisations cut links in recent weeks. However Edinburgh and Napier Universities, who have teaching and research partnerships with the firm, and Police Scotland, who use the firm’s broadband devices, have rejected concerns around the security of the firm’s products. Oxford University, Queen’s University Belfast and Prince Charles’s charity, The Prince’s Trust, are among the organisations which have said they will no longer deal with the company. In December, BT said it would remove Huawei equipment from its 4G network, while Vodafone decided on 25 January to “pause” the installation of new Huawei equipment in its core networks. The company is banned from bidding for government contracts in the US, where intelligence services raised questions about Huawei’s links to China’s ruling Communist Party. Germany is considering ways to block Huawei from its next generation mobile phone network, while New Zealand is prohibiting the company’s equipment being used in 5G mobile networks. Police Scotland said the force uses Chinese mobile broadband devices that contain no data and do not directly connect to their internal networks. “We use mobile internet devices by the manufacturer Huawei with the internet service provided by Vodafone. This service does not directly connect to our network,” said a police spokesperson. The university’s ongoing partnerships with Huawei enables our researchers to explore new technologies in data management and information technology. Edinburgh University’s partnership with Huawei is worth £5.1 million. The Edinburgh Huawei Research Lab allows Huawei and the university to “jointly explore new theories and technologies in data management and provide direction for cutting-edge research into the next generation of information technology”. When asked if the partnership would be reviewed, the University of Edinburgh said: “The university’s ongoing partnerships with Huawei enables our researchers to explore new technologies in data management and information technology. Edinburgh Napier University announced a collaboration with Huawei in 2017 in Information and Communications Technology. In January the UK government was asked to confirm that national telecommunications infrastructure was secure amid growing concerns about Huawei. In letters to the secretaries of state for defence, foreign affairs and digital, the House of Commons Science and Technology Committee said it was crucial the UK was confident in the security of its telecommunications infrastructure. In response, the Ministry of Defence said it did not have any contracts with Huawei. Huawei insists it is a private company owned by its employees, with no ties to the Chinese government. The firm says it remains committed to its £3 billion investment in Britain. Speaking at the recent World Economic Forum in Davos, Huawei’s chairman warned that his company could shift away from Western countries. Liang Hua said his firm might transfer technology to countries “where we are welcomed”. He stressed that Huawei follows regulations wherever it operates. Meng Wanzhou, the daughter of Huawei’s founder, faces extradition to the United States over accusations the company flouted US sanctions against Iran. The Prince’s Trust has said it would no longer accept donations from Huawei while Oxford University said it would decline new research grants from the company. Queen’s University Belfast said it would not pursue new funding opportunities. The university has a research partnership with Huawei worth more than £700,000. In the US, some top universities are ditching telecom equipment made by Huawei and other Chinese firms to avoid losing federal funding, under a new national security law backed by the White House. Cyber security expert Don Smith says that it difficult to judge exactly how far the relationship between state and private enterprise in China actually goes. Smith said the security of tech products has implications for users and for nations. “The integrity of goods and services is of paramount importance,” he added. Christopher Weatherhead, Technology Officer at Privacy International, said: “The state control and influence in the supply chains and manufacturing processes of Chinese companies make operational independence in the region challenging. The state has an incentive to interfere when the companies have international customers, especially if these customers operate in critical infrastructure. A version of this story was published in The Sunday Post on 27 January 2019. This story was updated at 14.22 on 30th January 2019 to add the above comment from Privacy International.